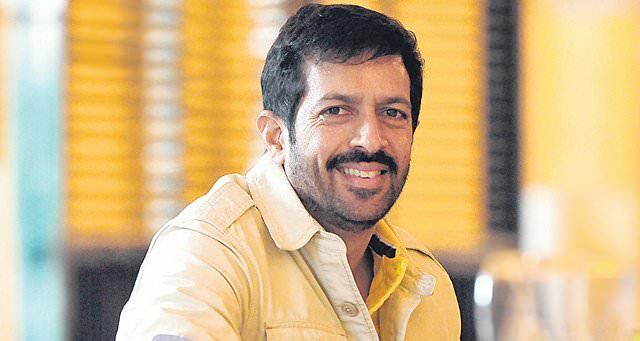 Bollywood filmmaker Kabir Khan, who visited the Lord's Cricket Ground and library in London recently as part of the preparation for his upcoming film "‘83", says the year 1983 was very important for Indian cricket as the nation won its first World Cup, but not enough documentation is available in the country regarding the event. "As a nation, we have a poor practice of archiving and documenting historical events. I think that is coming from our age-old practice of oral tradition. So, when I started researching for my film, I had to go to Lord's to get a good insight into the World Cup of 1983. "Though it was the first time India won the World Cup, not much things were documented that well (in India), the way it is kept there in Lord's," Kabir told IANS in an interview. Citing examples, Khan said: "The library even kept the small brochure and tickets of the match... That is a good piece of information for me now. Of course, after watching a match, we throw away the ticket today, but it holds some historical value after 35 years. It was fascinating to observe. "I strongly believe that the whole process of archiving information to keep it for posterity is something that our country should be practising for the future." The legendary cricketer Kapil Dev captained the Indian team for the historical match in 1983. Actor Ranveer Singh is essaying Kapil on-screen. Asked about the progress of the film, Khan said: "I'm in the process of scripting. In fact, it is almost done. But I have a long casting to finish because I have to cast actors not only for the Indian team but also for other teams of the crucial matches. "I have to cast actors for teams like West Indies, Australia, England... I have to train those actors to act like cricket champions, so a lot of pre-production work is going on." The maker will start rolling the camera for the film early next year. So, he is taking some time to finish the whole elaborate pre-production work. Having started his career as a cinematographer, Khan made a few documentaries before entering the Bollywood world. Since he has explored fiction and non-fiction stories on-screen, and is now gearing up for a movie based on a real-life incident, asked which one he finds more challenging, the "Bajrangi Bhaijaan" famed director said: "I think both have their own challenges." "For example, my upcoming ''83' is based on a real incident. Now even if I want, I cannot make Kapil Dev hitting six over-boundaries just to make it exciting. So the challenge is to tell an engaging story with the given facts, without tampering them with your imagination. "When I work with a fictional story, the sky is the limit for imagination. But I have to channelise my imagination to tell a story within a time frame, a certain length. So there, I have to be in control of that. "That is why I believe both -- fiction and non-fiction -- stories pose different challenges for a filmmaker to lat around," he said.